Finnish drummer who became known for his work with the gothic and glam rock group The 69 Eyes. Born Jussi Heikki Tapio Vuori, he became known by the stage name of Jussi 69. His first album with The 69 Eyes, Bump 'n' Grind, was released in 1992. He appeared in a 2008 Warner Bros. film entitled Bam Margera Presents: Where the #$&% Is Santa? He was born and raised in Helsinki, Finland. 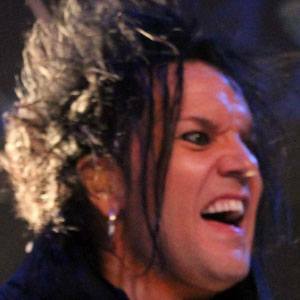 He and vocalist Jyrki 69 were both founding members of The 69 Eyes.